Over the last few weeks we've had several success stories coming in from schools that increased engagement and grades by using Seneca. These schools across the country are using data analyses to look into how Seneca relates to student progress. Last week, Kettlethorpe High School joined the club with research conducted by Ms Fern Laffey. This time, however, instead of a correlation, Ms Laffey compared groups of students. What she did was to look into her Year 11 classes and compare their Mock Exam grades in June 2018 to the grades in December 2018. She divided the students into two groups: those that had not used Seneca and those that had used it since October, when the platform was introduced in the school. 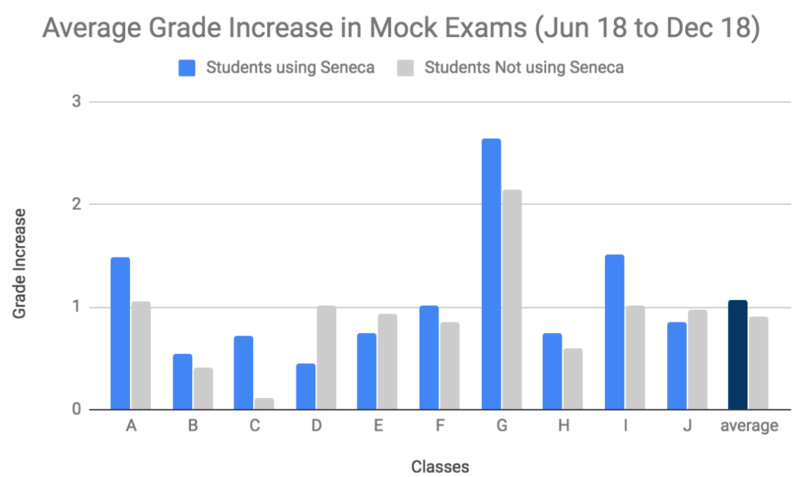 As you can see in the graph below, in 70% of the classes, students using Seneca showed greater progress than their peers who had not used the platform for revision. These grades correspond to an average of the grades in Physics, Chemistry and Biology. This fantastic result is after only using the platform for two months. Ms Laffey intends to re-do the analyses after the March mock exams, when we will hopefully see an even clearer picture of how Seneca can help students achieve higher grades. 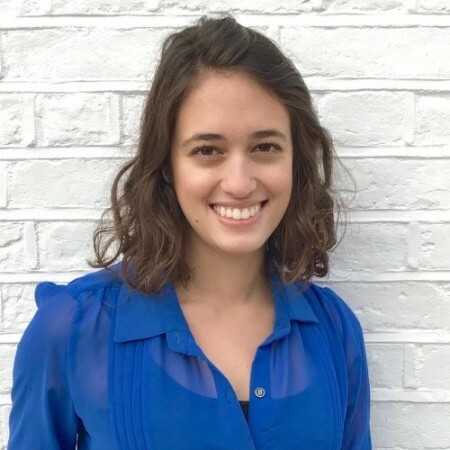 If you would like to do the same at your school, please do get in touch with me for guidance and ideas at Flavia@seneca.io. We'd love to hear from you and promote your successes.